You're tired of what your current online poker home(s) are serving you up. You're a veteran player who's seen it all before and wants something different. You're a savvy player who knows that the newest sites are often more populated with beatable players. As someone who's played online for more than 13 years I think that I can answer any of those needs with some suggestions, but first I have some good news and bad news. The good news: I can think of several sites that offer something new for battle-weary players. A new game type, new bonus structures, or new software. The bad news: I've seen players burned enough time by honest to goodness brand new (and in online poker terms that mean it's been around for only 1-2 years) sites that I don't recommend them. I'm going to show you several "new" poker sites that I feel hit the sweet spot. Established sites offering something new. 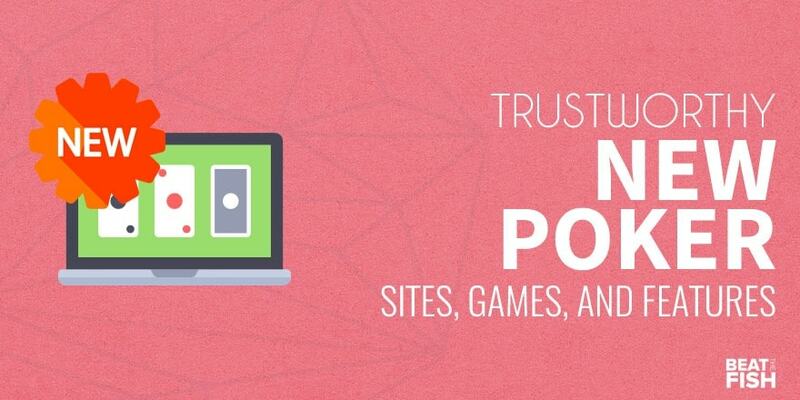 Getting the advantages of new sites without the inherent risk. Poker isn't booming right now. These days, online poker rooms have to fight more for new players. What that means for you is that the old names you've seen for years are thinking outside the box - and then giving you the box on top of it if you'll make that itty bitty deposit. Technically, Ignition Poker is the most successful newest poker site open to the US. They also lead player traffic by a wide margin. How does that happen? Because they’ve got roots going back more than a decade. New name, new look, trusted payout history. The best of both worlds. The name itself is very new. 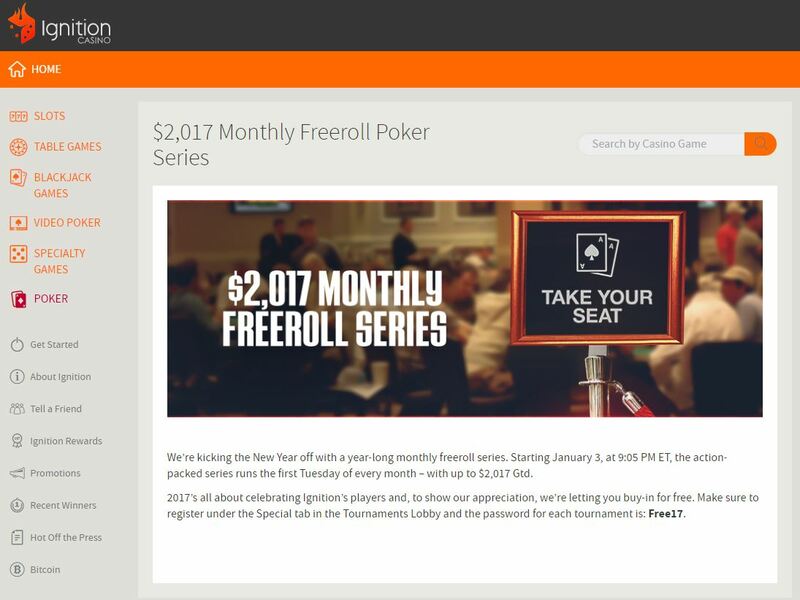 At first glance, Ignition Poker is a very successful new poker site for US players. Technically that's true as they've only offered poker since 2016. However, they're basically taking over for Bodog and Bovada, who have been around for almost 20 years. Why it's the best of both worlds. What you get at Ignition is the perks of an established site like excellent traffic, long cashout history, and fast-fold. Then there are some fresh pieces like new branding and some new promotions. The growth rate has been excellent. Just 3 or 4 years ago, I wouldn't have believed any US-servicing site would crack the top 5 in global player traffic. Ignition has done that - and they're now in the top 3. 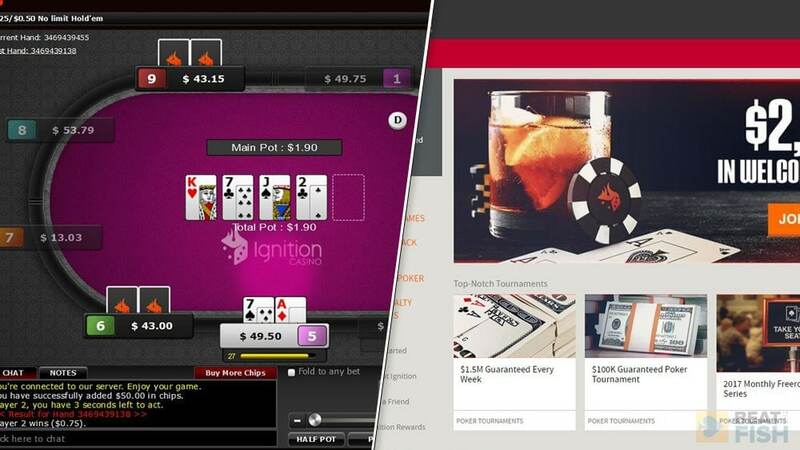 Even though Ignition Poker is technically a new poker site with a new look, they're really the same group that's been at it for more than a decade. 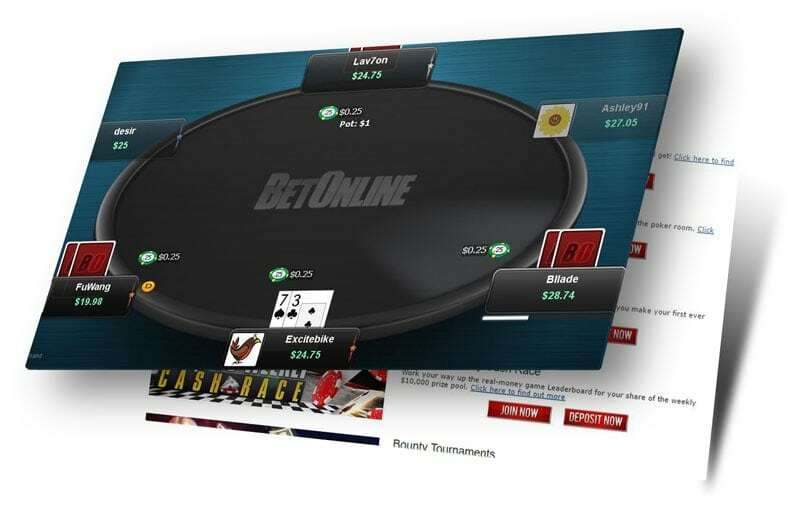 BetOnline's Poker section was launched in 2011, but it’s almost become a brand new poker site over the past year thanks to lots of new additions. A private 200% bonus, the best mobile software in the US, and private $5,000 freerolls are the best adds. It’s always better when you're being fought for. New mobile software trumps the competiton. If you're on mobile or tablet, the release of the excellent poker app was like an entirely new poker site opening up. BetOnline Poker now has one of only two in the US and it's clearly the better of the two since it supports tournaments and multiple tables. Huge desktop software improvement. The new poker software release, developed internally rather than re-skinning an outdated network client, is light years better and feels very fresh. Gone is the old obnoxious Blackjack window, replaced with sharp modern aesthetics. New substantial private freeroll offer. Again, I've seen many new poker sites try gimmicky freerolls, but this one is worth it as you're getting it at an established US powerhouse in BetOnline. It's private, it's $5,000, and only a couple hundred players enter. It's basically like getting a $20 free tourney buy-in. 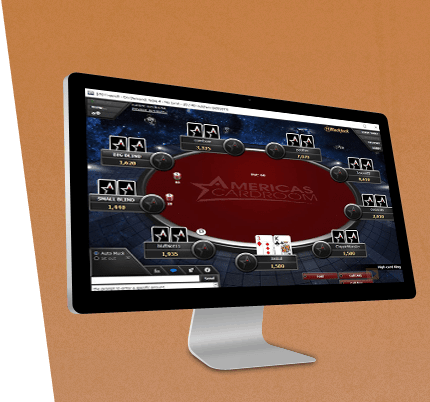 How is America’s Cardroom a new poker site when they were established in 2001? Thanks to a reinvention over the past 5 years. They’re easily taking the most chances on new idea in the US, with new tournament modes and an instant bonus that no one else is even competing with. The brand gives you the perks of an old site. Again, America's Cardroom is technically the oldest poker brand in the USA, but they're putting out new poker ideas at a frantic pace. You get the benefit of a long stable history and I've personally been paid out on time for years from here. New instant tournament bonus. This is criminally underrated and one of my favorite new bonuses anywhere. You get 20 worth of free cards that award you up to $6 tournament money ever time. You're guaranteed $50 total. This is exactly what a brand new poker room would do to gain quick attention. Sit & Go 2.0. 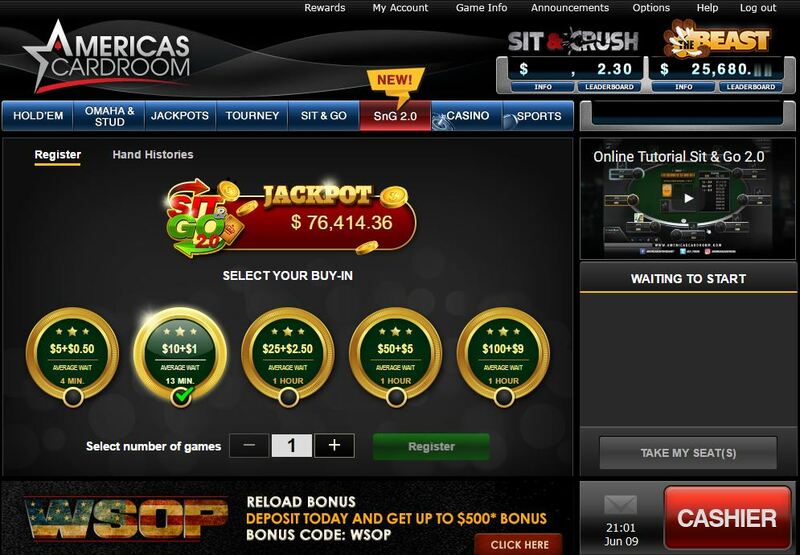 It seems like another gimmick by a new poker site, but it's at ACR. Players randomly pick cards from a deck to try for jackpot prizes before a standard Sit and Go. I don't think it earns its moniker as a new iteration of tournaments, but it's a mildly fun original idea. The cage. This is a very clever new poker game that blends cash games with tournaments. You are locked into playing for several hours with dollar-value chips and escalating blinds. No one else is doing this. America's Cardroom has been quite inventive with new poker ideas over the past few years. My favorite? The instant Jackpot tournament bonus that guarantees $50 in entries free. A ton of new poker releases with a proven payout history. BetOnline has a new poker software client that blows the doors off the old one. Here's an example of the attractive hand history playback feature. 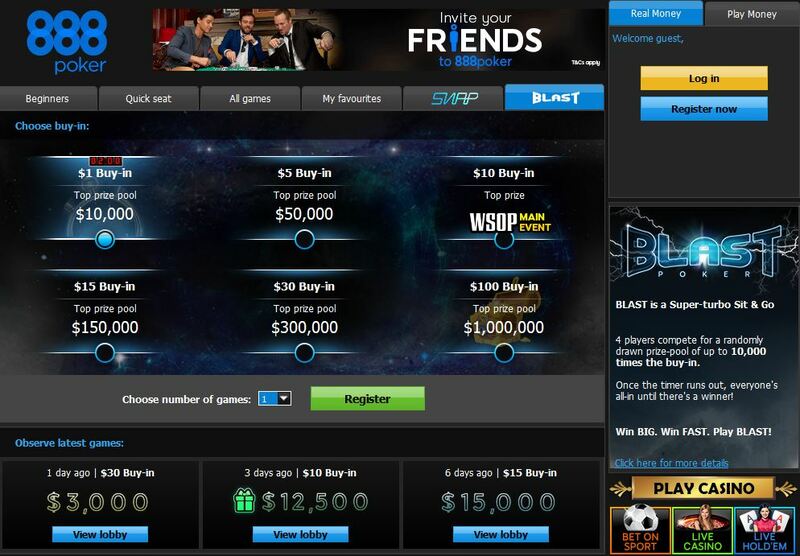 The new poker tournament offering Blast has been a surprise hit for 888 Poker. Players have limited time until everyone is forced to go all-in every hand. 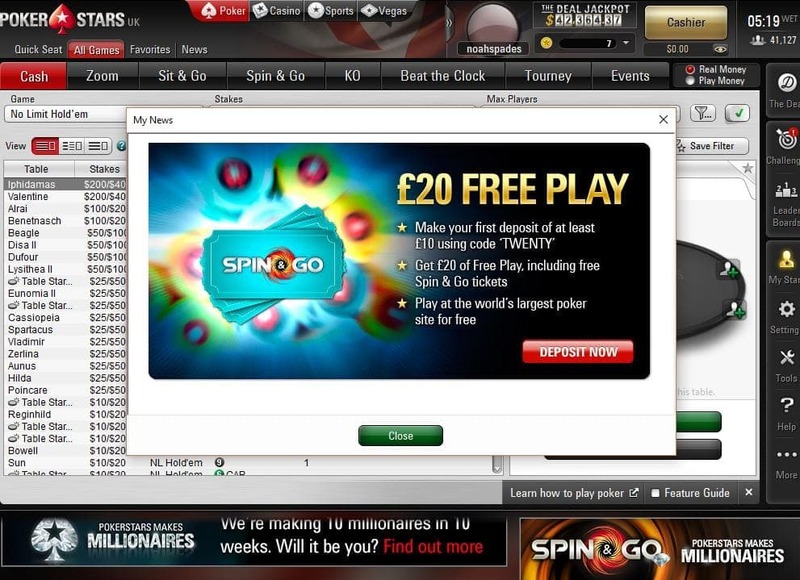 The €20 instant bonus offer from PokerStars feels like something a brand new poker site would do, but they've been forced to try to appeal more to casual low-stakes players in recent years. Adding a decent-sized freeroll to the mix is one way Ignition, the newest poker name in the US, is trying to stand out. Even though Sit & Go 2.0 isn't really taking off, America's Cardroom has had some very clever new ideas, such as The Cage, Jackpot Poker, and an instant bonus. 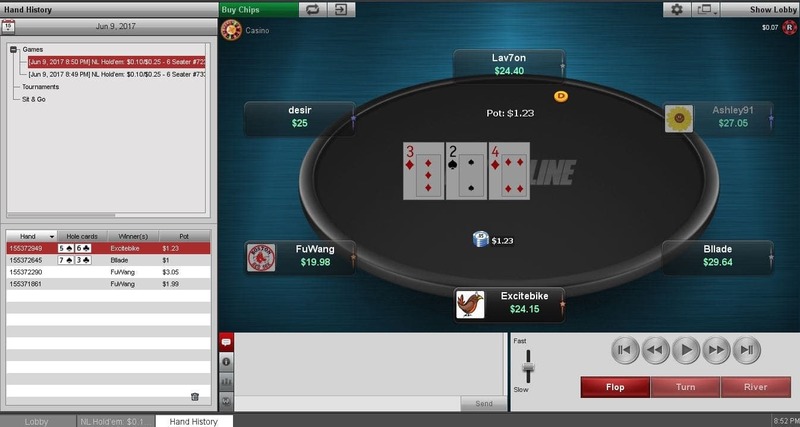 Unibet is one of the newest poker sites online, just going independent in 2016. They're trying some unorthodox tactics, like bold software and instant free money to everyone. Why don't you recommend sites that have just launched? I take a more conservative approach with new poker sites simply because I've been around long enough to see a majority of them fail. Longevity doesn't guarantee safety, as we saw with PKR disappearing after a decade, but the odds are in the favor of proven sites. The main problems with new poker sites are low traffic, which is almost universal, and overextending itself to land new players. They might give players free money and great promotions, but they're probably losing money to do so. I think the sweet spot for players looking for something new is to go with a safe site that's trying something unique. That's happening a lot more these days. What is the best new poker bonus right now? It's a good time to be a free agent poker player. With fewer new players entering the game, there are plenty of new poker bonuses popping up regularly from big names trying to woo you. I can't think of another time when old names acted like "new" sites with very generous offers. One of my favorites is Party Poker, who's trying to make a new start by giving players both $20 cash and another 100%. For USA players, America's Cardroom now guarantees $50 in free tournament money on top of the 100% offer. Should new poker players try out new sites? I think the best environment for a new player is an established poker site who does some hand-holding. New players should also be careful to find a home with plenty of other players at their level. New poker sites run some risk as they're unproven, usually have low traffic, and have no long-term payout history. Then, on the other extreme, there's an incredible proven site like PokerStars who does have some attractive promos for new players, but then dumps them off to the shark aquarium. I like the balance of a site like 888 Poker, who caters to new players with some free money and freeeolls, but then has fairly soft games to ease them into learning. For US players, either BetOnline or America's Cardroom also give a good balance. Are there any new poker games out? These days, it feels like everyone is chasing "the next big thing" in new poker games. What's going to be the next Sit and Go or quick-fold? Poker sites are happy to throw spaghetti at the wall to see what sticks. PokerStars has really stepped up its R&D game with new poker games like The Deal and Beat The Clock lately. Unibet has a fun diversion called Banzai that short-stacks everyone for crazy cash game all-in fests. On the American side, America's Cardroom has tried Sit & Go 2.0 and a hybrid tournament/cash game concept called The Cage. Are there any new poker sites for Mac? These are heady days for Mac poker players. Unlike the old days, every single new poker site now releases a native Mac download alongside the Windows version. Every site I list on this page has a Mac version. Simply visit the site from your Mac and you'll see about 489 download buttons eagerly awaiting your Apple-branded click. Are there any new poker sites for Americans? These are the most stable years for USA poker players since Black Friday hit in 2011. The big players are rooting in deeper and I'm actually pleased that no new US poker sites are entering the fray after debacles like Full Flush Poker. Still, the old guys are doing a lot like new poker sites. Ignition is the biggest in the USA market and technically the newest name, even though they're pretty much just Bovada in a new outfit. 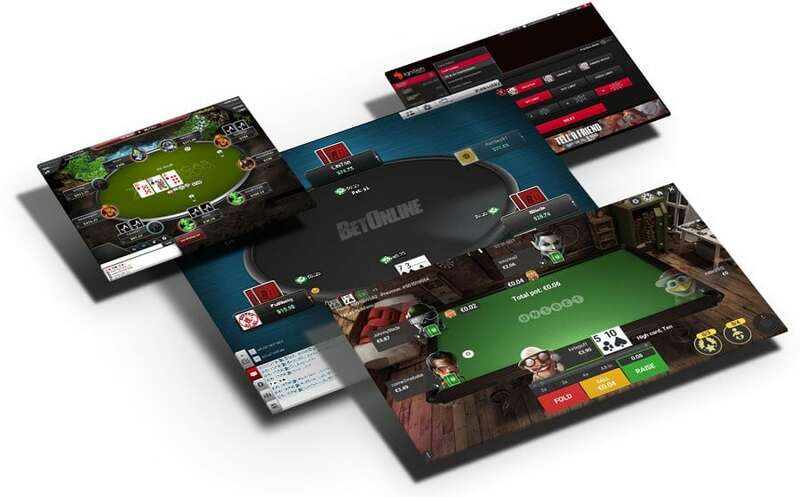 BetOnline has a new poker app that's easily the USA leader, supporting every cash game, tournament, and multiple tables. So, while they may not technically be "new" USA sites, they last few years have seen some fresh developments. What are the newest poker apps? It's taken a while, but online poker rooms are finally catching up with the rest of the world in terms of mobile. It's ridiculous to tie players to monster desktops when a lot of households go without them at all these days. 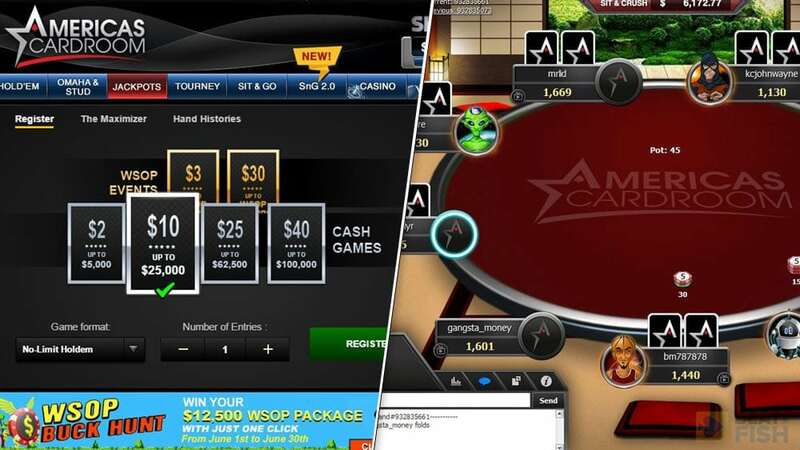 A number of sites have released new poker apps or improved ones. 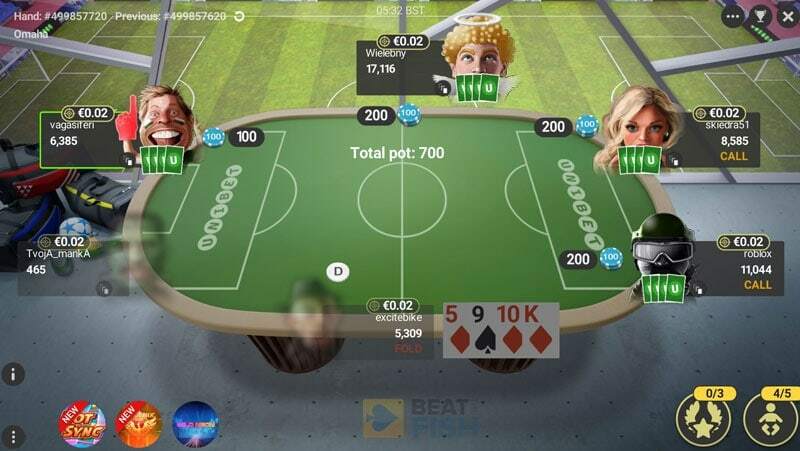 The latest poker app release from 888 Poker is a good one as it has everything the desktop client has. 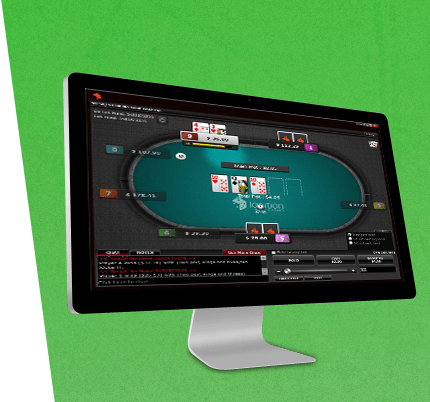 Unibet Poker has one of the newest best-looking apps that support multiple tables. 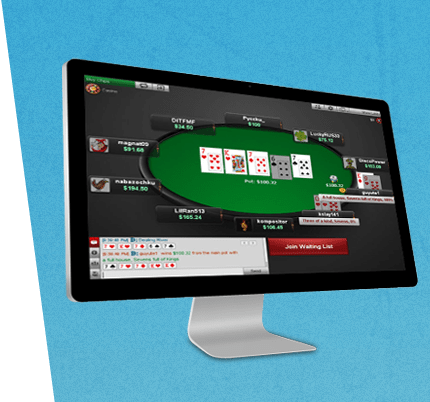 For US players, BetOnline has an excellent new poker app that beats pants off Ignition thanks to tournament play and multiple tables.